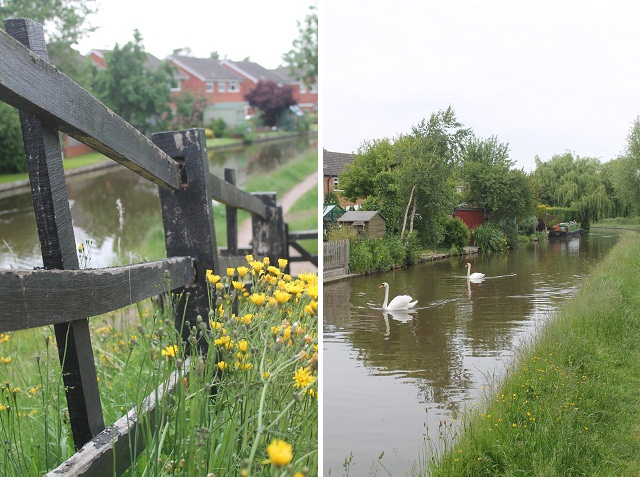 Living in the landlocked Midlands canal walks give us an opportunity to be near water. Luckily we have miles and miles of canals to explore just a short drive away from here. We park the car, clamber down to the canal path and find ourselves in a different world. Traffic may be heard in the far distance but it is insignificant to the melodic hum of bees, chug of barges and tweets from the birds. Last weekend we explored a new stretch of our waterways. Houses backed onto the canal and there were a variety of delightful gardens to view. Hedgerows blossomed and the water's edge was awash with wildflowers. As we reached one bridge we noticed an explosion of garden plants around the bridge different to the wildness of the canal hedgerows. We followed the colourful display around the corner and were wowed by a wonderful canal bridge festooned with plants. We snooped around and found that the bridge path had been planted by local residents. Great photos - and a lovely walk too. I really like the first photo and all the colourful flowers. What a beautiful stroll ! Thank you for the share. Beautiful photos, it shows how even in the midst of the town or city there can be little patches of real nature and beauty. I love that the residents brightened their own driveway, I hope locals respect that and really do 'take their litter home'. Such a very pretty place for a walk, those garden are just lovely. Absolutely beautiful. How I love this time of year in England. Stunning. 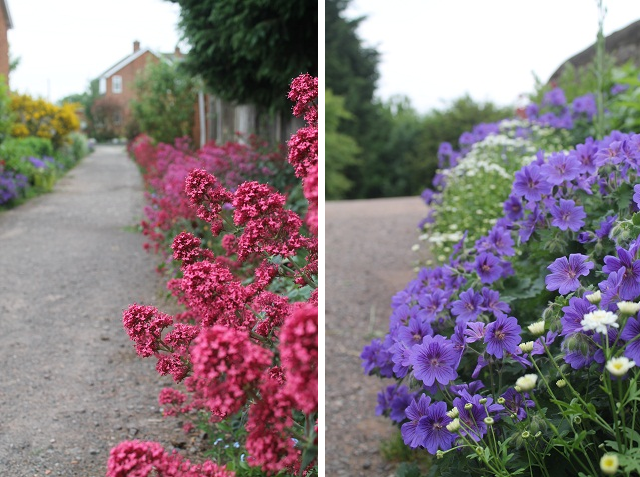 The residents planting is wonderful. Wouldn't it be wonderful if there was done more often? I enjoyed your walk along the canal see all those wildflowers. Lovely pics! I like how everything is so green, such a pretty place to walk. Love this bridge, what a great idea.